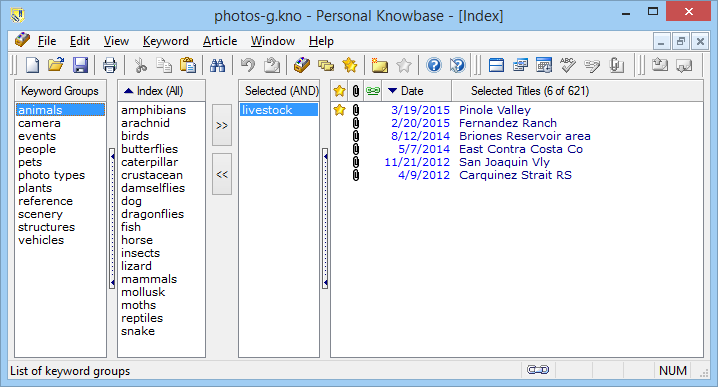 This example shows the Index Window with the optional Keyword Groups column showing. Using keyword groups to organize and filter your keyword Index makes it easier to manage large Indexes. In this example, only the keyword in the group called "animals" show in the Index, and other keywords are temporarily suppressed.